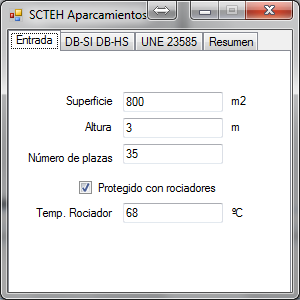 Detector Actuation is a complete implementation of DETACT-T2 from NIST to calculate the actuation time of fixed-temperature and rate-of-rise heat detectors, in metric and English units. Sprinkler Activation is a free tool to estimate the sprinkler actuation time based on DETACT-T2 from NIST. 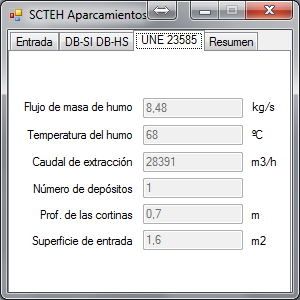 Smoke Control is a SHEVS (Smoke and Heat Exhaust Ventilation Systems) design free app based on the BRE 368 methodology. 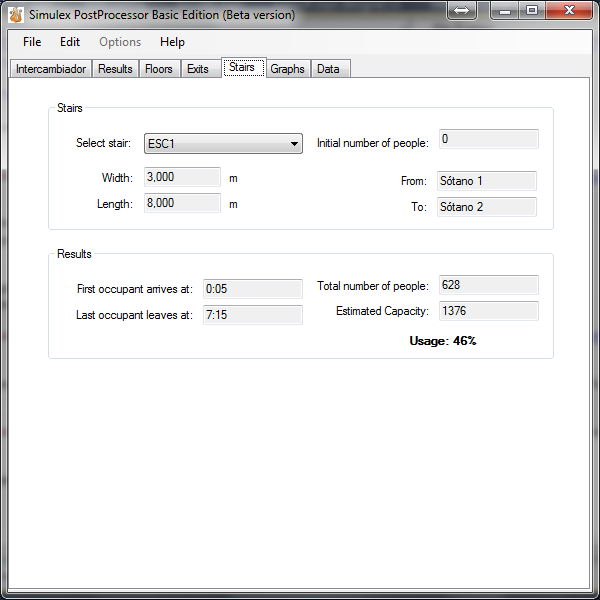 Simulex PostProcessor is a windows app to process TXT result files from Simulex, one of the most used simulation tools of occupant evacuation. Latest update: Now BMP captures can be easily modified in background to reduce file sizes and change colors. 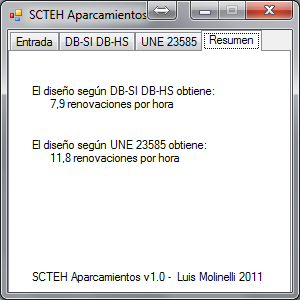 Esta herramienta permite comparar los requisitos de extracción mecánica en los aparcamientos conforme a DB-HS3 y UNE23585.